Best fitness band to buy, is not only the Xiaomi Mi band 2, but obviously it is one of the best fitness trackers on the market. it combines a lot of sports related, and smart watch features in one device. if you have a gear fit 2 pro, that’s pretty similar to it in so many features, except for the fact that there is a metal clasp on the fit 2 pro. while this one has the ordinary clasp for and easy wear, and unwear. 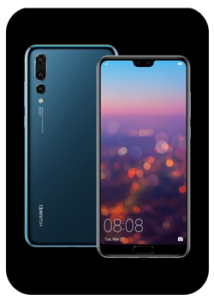 a home button on down the front screen, and a heart-rate monitor on the back. One of my favorite features is that it uses an OLED display, so you can see more at a glance. Simply lift your wrist and the screen will automatically light up for you to view time and date. Furthermore, you can tap the button or rotate your wrist to switch and view other information such as steps, calories burned, distance, heart rates, and battery. Even though, it is mostly made of plastic, the build quality is excellent and it feels very comfortable on the wrist. WHY IT IS THE BEST FITNESS BAND TO BUY? 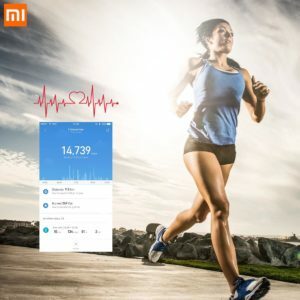 Xiaomi has pushed the Mi band 2 with so many features, to make it the best fitness band to buy in the market. one of the most important features, is the IP67 Water-Resistant: MI Band 2 is durable and resistant against water splashes, sweat, cosmetics, dust and more. You don’t need to worry when doing daily routines, even when washing hands or taking a shower. just like the new fit2 pro of Samsung. 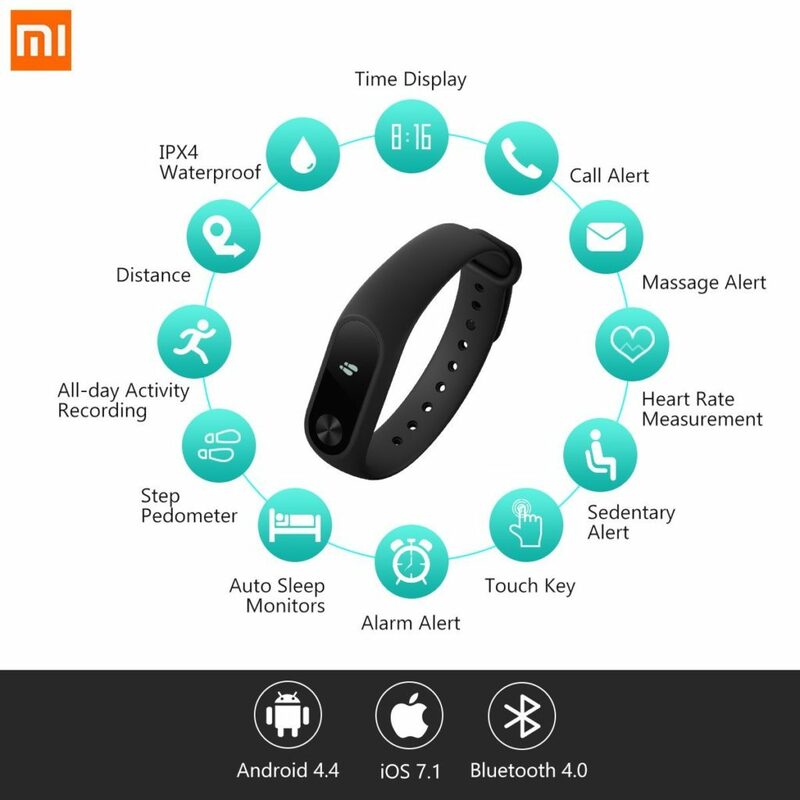 the Mi band 2, can track your exercise routines steps, calories burned, distance, heart rates. it can even continuously, monitor your heart rate while sleeping. all of this is done using Mi Fit app. The sleep monitor isn’t 100% accurate either, but it’s close enough to relay on it to enhance your sleep quality. It tells you when you sleep and when you wake, so you at least have a decent idea. Finally, the HR monitor works but isn’t always accurate. Having said that, getting a consistently accurate heart rate from the top of the wrist isn’t always easy! But again, it works most of the time and it’s good enough. You can also receive notifications from social media. When your phone receives calls, messages or other notifications such as from Facebook, Twitter, Snapchat, Whatsapp and Wechat, Mi Band 2 will vibrate to remind you. Simply lift your arm to view the notification icon on the display screen which even shows caller name/ID when you receive a call. With Mi Band 2, you don’t need to worry about missing any calls or messages even when your phone is tucked away in your bag or pocket. Obviously, you can adjust all the settings on the watch itself, or use the app on your phone, which not only has more settings to play with, but it also gives you a more comfortable access to your fitness history. 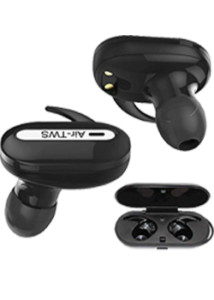 I had no connectivity or compatibility issues, with a few Android phones I tested the Mi dand 2 with, the band is compatible with the iOS 7.1 and above, and Android 4.4 and above. finally, the most powerful thing of this fitness tracker, is that you could get up 19 days of battery life, using its full features, and continuous heart rate monitor on. ”that’s pretty good”! finally it takes less than one hour to fully charge the device. 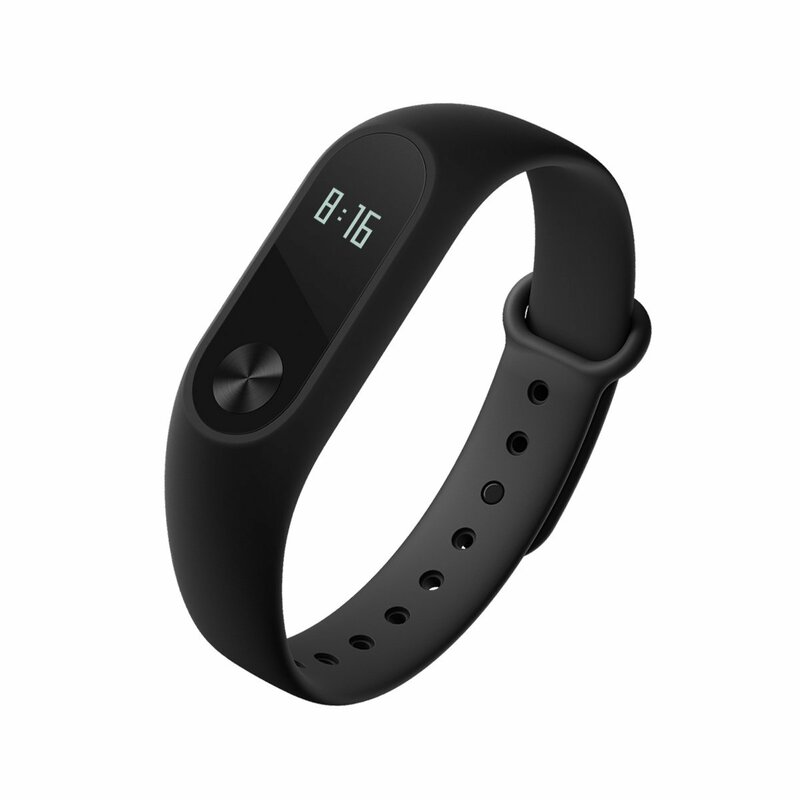 In my opinion, the Mi band 2 from Xiaomi is one of the best options, for those who want to have tow in one on their wrists a fitness tracker, and SmartWatch.